As one of the top ten convenience store chains in the United States, Casey’s General Store has become known as a leader in the food and gas industry. If you have an interest in working for a fast growing and successful company, information about filling out a Casey’s General Store application can be found below. Casey’s General Store provides more than just basic convenience services to their communities. Through a strong belief in the 4 P’s of 1) Positive, 2) Polite, 3) Professional, and 4) Proud, this company has managed to reach its mission to provide quality products at competitive prices to all members in their communities. Due to their enormous success, this company offers numerous opportunities for people to begin Casey’s General Store jobs on their way to a lasting career. Founded by Don Lamberti in 1959 through a simple leasing agreement with his father over a store in Des Moines, Iowa, Casey’s has now grown to be the 10th largest convenience store chain and the 5th largest pizza chain in the United States of America. Home to multiple locations, Casey’s prides themselves on customer service and knows they would not have achieved what they have without their employees. Because of this they have a secondary mission to provide a work environment where associates are treated with respect, dignity, and honesty. They always strive to expect and, especially, reward high performance. 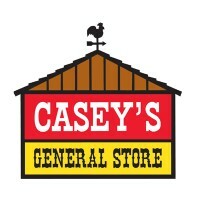 Throughout their stores, Casey’s General Store careers offer a wide range of possibilities for everyone. They offer in store positions including cashiers, kitchen staff (pizza and donut cooks), pizza delivery drivers, and general store employees. This comprehensive list should give any potential applicant confidence that there is always a position for them with Casey’s General Store. Trucking, distribution, and corporate posts are also available. The main office, located in Ankeny, Iowa, as well as all other departments can be reached by the telephone numbers available on their website for any enquiries regarding the company or how to apply for Casey’s General Store online. Most Casey’s stores are open 24 hours a day and those that aren’t are typically operational between the hours of 5:00 AM and 11:00 PM with online orders being available from 7:00 AM to 4:30 PM Monday through Friday. How old do you have to be to work at Casey’s General Store? Most entry level positions require a minimum age of 16 years old. However, some positions may require you to be either 18 or 21 depending on the duties the position calls for. A few of the things offered to Casey’s General Store staff are competitive salaries, holiday pay, paid vacations, and paid medical leave. Health benefits include medical, dental, vision, life, disability, accident, and critical illness coverage. Associates also have access to a 401(k), stock purchase plan, flexible spending accounts, and electronic W-2s. These are just a few reasons to apply for jobs at Casey’s General Store and seek employment with a company whose job opportunities are never ending. Store Employee: Generally, all store employees are responsible for ensuring customer satisfaction, providing service and assistance to all customers, maintaining a strong product knowledge, and keeping a clean store. These positions include – cashiers, donut and pizza makers, car wash attendants, and pizza delivery drivers. The minimum age to work in the kitchen is 18 years old. An hourly rate of $8.00 – $9.00 is the average for these positions. Assistant Manager: An assistant manager must be well versed in all store functions, assist the store manager, assume all store operation responsibilities in the absence of the store managers, and maximize sales and profits. There are two types of assistant managers – First Assistant and Second Assistant. The average pay is $10.00 – $11.00 an hour. Store Manager: Typically the store manager will be in charge of managing daily personnel and store operations, maximizing efficiency and profits, and overseeing 10-30 employees as well as 24-hour operations, pizza deliveries, car washes, and more. Managerial experience is preferred. The annual salary is $34,000. Area Supervisor: An area supervisor will ensure store management and employees have everything they need to run a successful store. They will maximize sales of around 10 stores in an assigned district. Their pay can range from $38,000-$42,000 a year. What past positions have you held that would relate to this one? While, yes, the interviewer will have your work background in front of them, it’s important to be able to discuss not only what positions you’ve held, but what aspects of those positions translate to the one for which you are applying. How do you handle stress outside of work? Simply be honest and tell them what relaxation techniques you take part in. If you exercise to release tension, tell them so. They just want to know you’re capable of handling stressful situations in a healthy way. Why do you want to work here? This is the time to reveal any and all company knowledge you possess. Even if that knowledge is simply that you’ve gotten gas at their store once. Tell them what you liked about the store and why it fueled your desire to seek a job with them. How would you handle an uncooperative coworker? Assure the hiring manager that you can work well with others and that you aren’t afraid to ask for help from a manager if necessary. What are your strengths? Be honest, but try not to brag. Have a list of strengths ready to share when you go in for your meeting. Whether you are looking for a printable application for Casey’s General Store, a direct application, or a simple “download application form” tab the Casey’s General Store application process is easy to use for everyone. The easiest way is to apply online by utilizing the second link listed below. There you will find a search engine where you can search available openings at your local convenience store. To complete the online application you will be required to search for openings by position, read the description carefully and thoroughly, and then click the “apply now” button. Simply fill out the form that pops up to complete as many applications as you’d life. Fortunately, there is a printable application form on the Casey’s General Store website that you can drop off, with a copy of your resume, at a store near you. Turkey Hill: Turkey Hill offers opportunities for both, beginners and experienced roles. Extra Mile: See this page for jobs at Extra Mile. Mobil: For employment at Mobil visit the application page. Conoco: For employment at Conoco visit the application page. CITGO: Visit the CITGO application.